Ron Patterson has only 111 minutes left to live so he decides to invite the kids around for sausage rolls, salads and a bit of quality time. 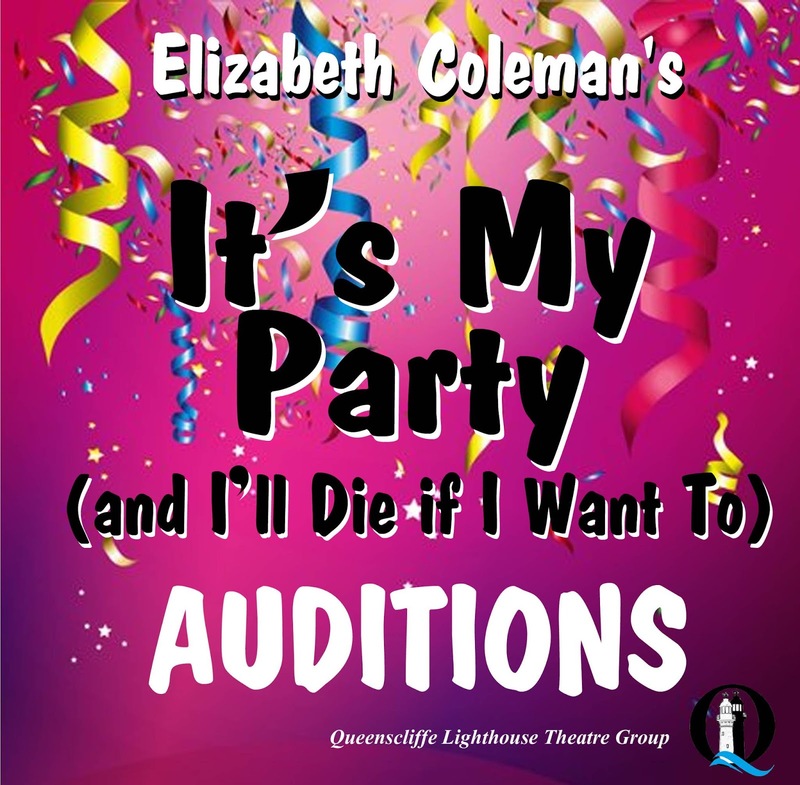 As he attempts to tie up the loose ends of his life, all the juicy neuroses of his very dysfunctional family come out of the closet and his well planned party starts to unravel. 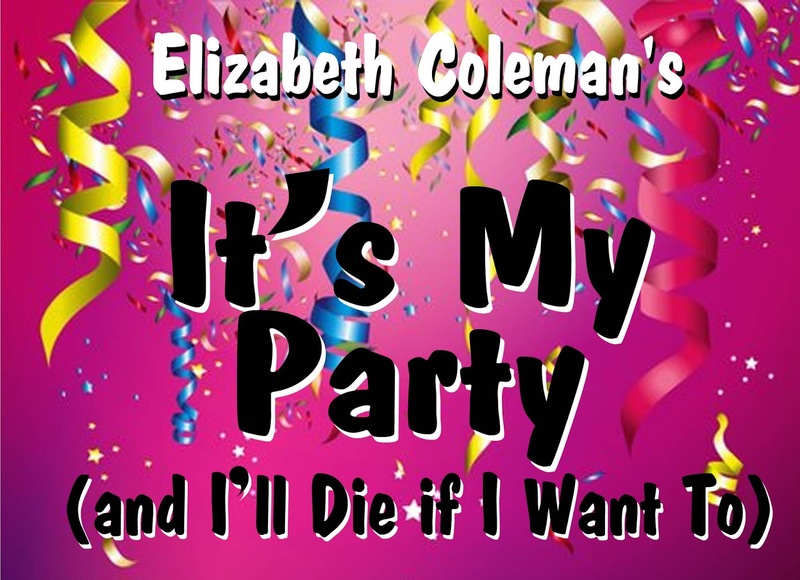 It's My Party (and I'll Die if I Want To) is a hilarious black comedy by well known Australian writer Elizabeth Coleman (Secret Bridesmaids' Business). We will be performing at the 360Q restaurant at Queenscliff Harbour in early June as part of the Low Light festival. 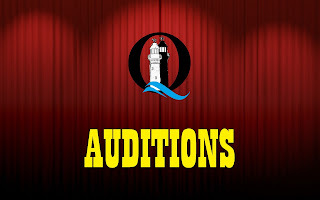 Rehearsal to commence as soon as casting complete and anticipated rehearsal times to be Tuesday and Thursday evenings and Sunday (time to suit cast). 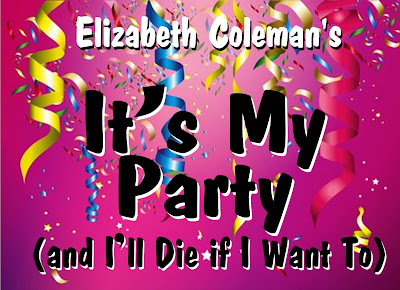 Its My Party (And I’ll Die If I Want To) is an hilarious and biting slice of family life laid bare by the imminent passing of the somewhat controversial patriarch. Ron Patterson has only 111 minutes left to live and he invites the kids around for sausage rolls, saladas and a bit of quality time. As he attempts to tie up the loose ends of his life, all the juicy neuroses of his very dysfunctional family come to the fore. Set in the early 1990’s, the action takes place throughout one evening in a “typical” suburban loungeroom. 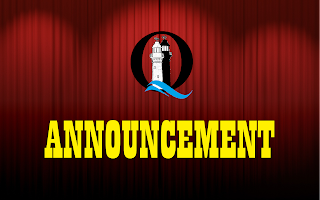 Take notice that the Annual General Meeting of the Queenscliffe Lighthouse Theatre Group Inc. will be held on Wednesday 20 March 2019, 7:30pm at Queenscliff RSL, corner Hesse St and King St.
To approve the Minutes of the previous Annual General Meeting held 12 February 2018. To receive the President's Report for the year 2018. To receive the financial statement of accounts for 2018. To elect a President, Vice-President, Treasurer, Secretary and six ordinary members of the Committee. Clause 10a. The annual general meeting of the Association shall be held during March of each year. Clause 17 c. All Executive and Ordinary committee members may serve for not more than three successive years in any one office, except as otherwise determined and recommended by the committee to the members of the Association for decision. Clause 28 c. All payments/receipts to be made in conjunction with standard business banking practices. Clause 29. Up to four signatures of committee members to be recorded. For banking purposes, two signatures required providing one is either President, Vice President, Secretary or Treasurer. Form for nomination of office holders and ordinary members of the committee can be downloaded HERE and must be in the hands of the Secretary before Wednesday 13 March 2019. 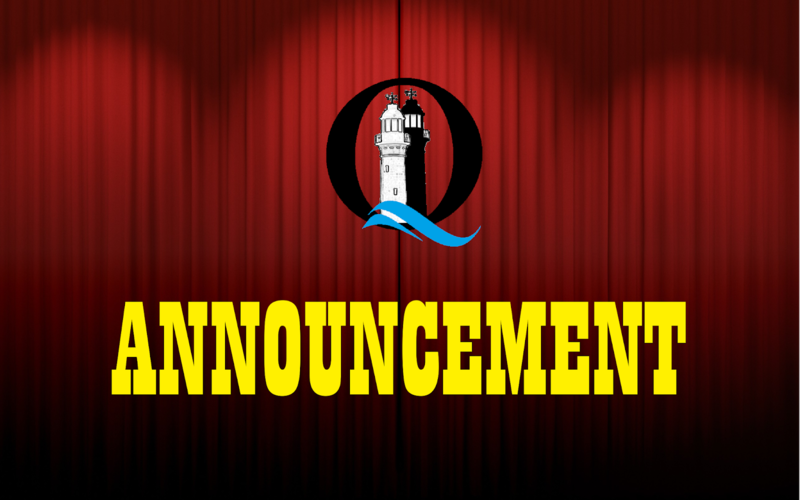 QLTG returns to 360Q for LowLight 2019 - Introducing our director! Following the success of last year's sellout season of After Dinner, QLTG are pleased to announce that we will be returning to 360Q for this year's LowLight festival in June. We will be announcing this show very soon, as well as all the audition information, but first we are thrilled to welcome Robyn Birrell as director! Robyn Birrell began her professional arts industry career as a founding member of the Mill Theatre Company in Geelong and later, within that community, undertook the joint roles of Program Manager for Geelong Performing Arts Centre and Executive Officer of the Victorian Association of Performing Arts Centres for over a decade. In 2006 she moved to NSW and assisted in the establishment of The Glasshouse, a new multi-art form cultural centre in Port Macquarie. In 2010 she returned to Melbourne, taking on the role of Artistic Producer, Performing Arts at Gasworks Arts Park and in 2012 she joined Arts Centre Melbourne’s (ACM) programming team working as the Producer on the Hamer Hall re-opening as well as programs such as Carnegie 18; New Music Theatre Program, Kenneth Myer Asian Theatre Season, Full Tilt and the long running Morning Melodies Season. By 2014 Robyn had crossed to the commercial side of the ACM business and took on the newly developed position of Venue Sales Manager. In this role she maintained the relationships with the key resident companies and drives the hiring revenue for the main theatres and the Hamer Hall. 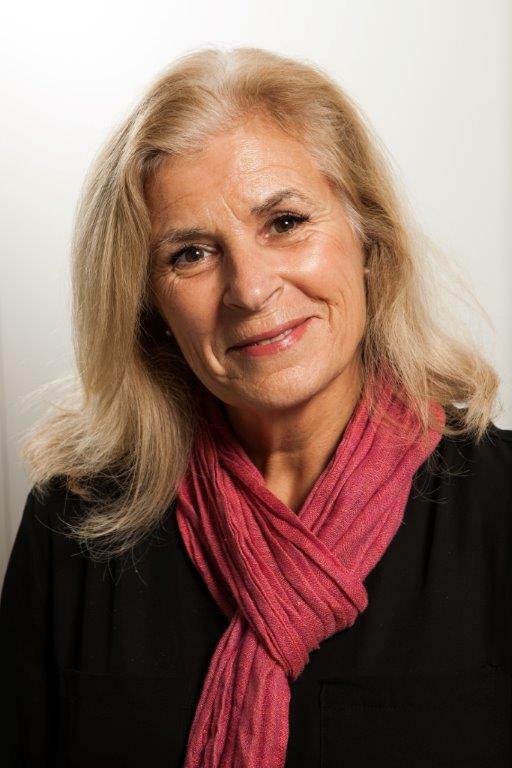 Robyn has held Governance roles with Geelong’s Courthouse Inc., The Arts Industry Council of Victoria and Queenscliff Music Festival as well being on panels for Arts Victoria’s Regional Arts Development Fund, Community Liaison Officers and Professionals in Residence Development Fund and the Organisation’s Investment Program over a number of years. While working in regional NSW Robyn was a panel member for the Arts NSW Touring Fund Panel and NSW Dance Fund Panel and an Executive Board Member for INAPAC. 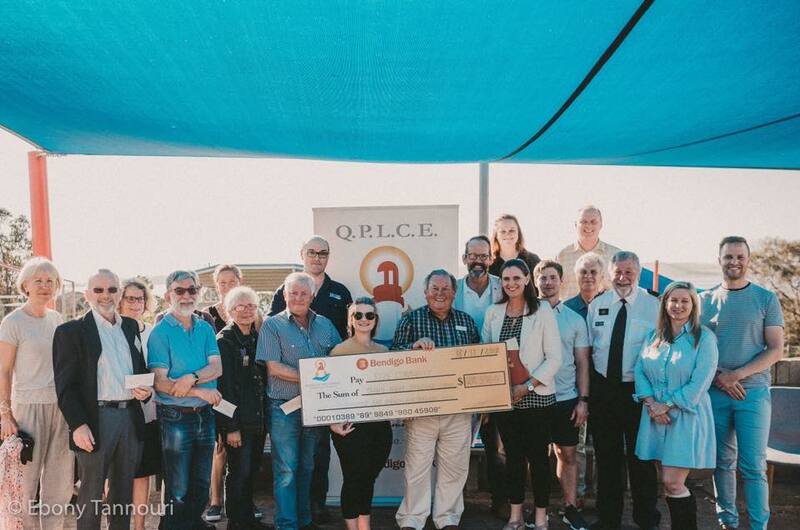 Queenscliffe Lighthouse Theatre Group are thrilled to have Robyn on board, and are looking forward to another successful joint venture with the LowLight Festival and the 360Q restaurant. 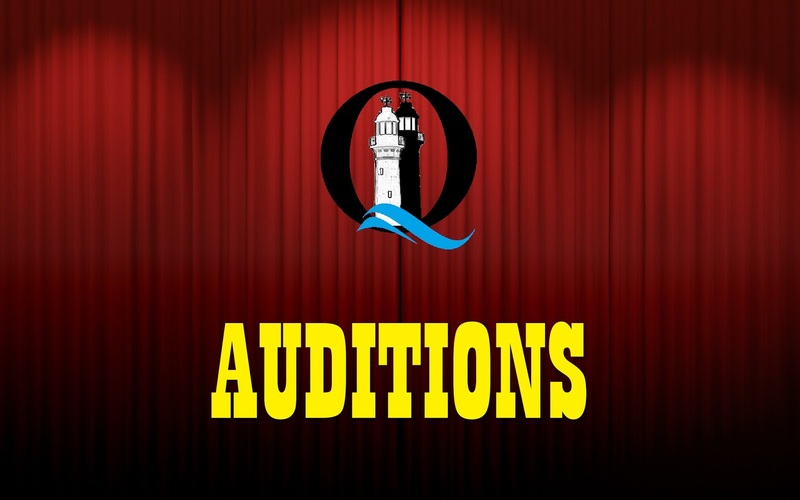 Keep an eye on this website for the show and audition announcements, and find us on Facebook, Instagram and Twitter by clicking on the buttons in the sidebar! The Little Mermaid - School Holiday Fun! 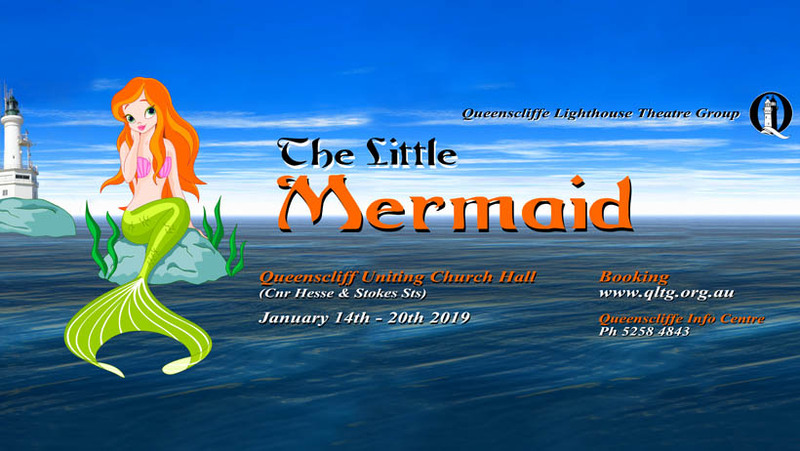 Tickets are now on sale for the Queenscliffe Lighthouse Theatre Group's January school holiday production of The Little Mermaid. The Little Mermaid is one of Hans Christian Andersen’s most well known stories, but unlike the original story, this one has a happy ending! 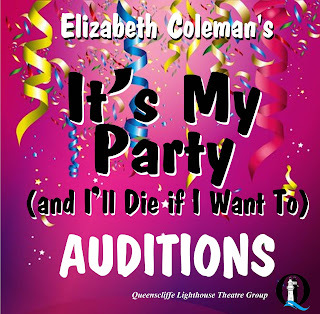 The Queenscliffe Lighthouse Theatre Group are proud to present this wonderful family show during January. After a sell out season of Peter Pan last year, we have once again secured the services of Debbie Fraser to direct. With a mostly local cast from Queenscliff, Pt Lonsdale and Ocean Grove, it promises to be another highlight of the summer holiday season. While everyone is familiar with the Disney version with Arial and her friends Flounder and Sebastian the crab, our Mermaid's name is Nieela, which translates to Sea Princess, and her brave companion is Clem the Clam. 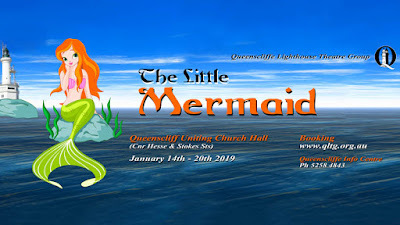 It all begins on the day the youngest Princess Mermaid is celebrating her fifteenth birthday, and is granted permission by her father, King Neptune, to swim to the surface of the sea. Wearing a beautiful crown fashioned by her grandmother and accompanied by her close friend Clem Clam, she encounters a sailing ship and recognises and falls madly in love with young Prince Frederick. But the evil Sea Witch and her two nasty side kicks, Rip Tide and Zip Tide, interfere. Using her magical powers The Sea Witch conjures up a terrible storm. The Captain and his crew jump overboard, but young Prince Frederick is thrown from the ship and almost drowns. Nieela swims to his rescue and brings him to shore. Once Frederick recovers he spots a young peasant girl Georgina walking along the shoreline who he unfortunately believes to be his saviour. The Prince promises to marry her the next day in honour of saving his life. Meanwhile Nieela seeks the assistance of the Sea Witch, to drink of a magic potion so that she can lose her fish tail and stay permanently on the land to pursue the Prince. Nieela is tricked into trading her voice for the potion and now cannot explain to Prince Frederick the truth of the rescue. What will happen to make the Prince realise his mistake? Does the Sea Witch take control of the undersea kingdom? To find out you will need to come and see the show! at Queenscliff Uniting Church Hall Crn Hesse and Stokes Sts. 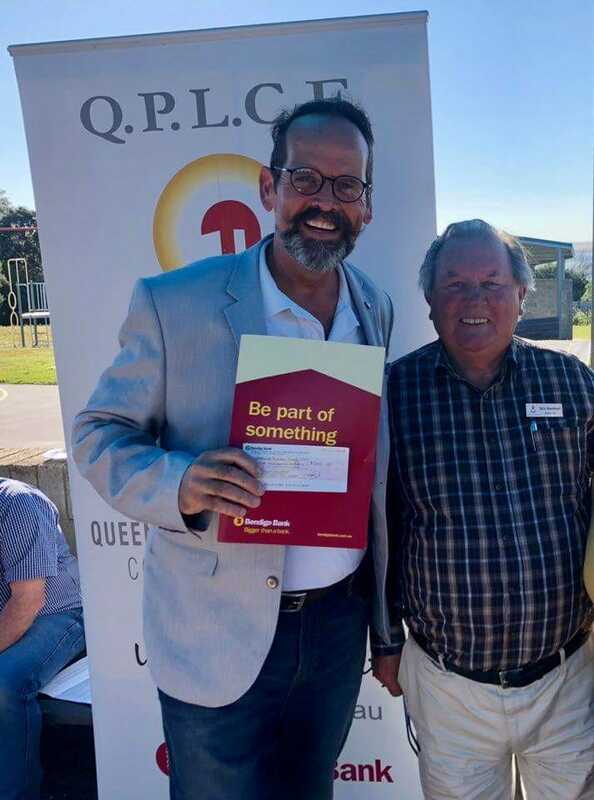 We are pleased to announce that we were successful in our submission to the Queenscliff Point Lonsdale Community Enterprise (QPLCE) for a community grant of $2000 to be used for the purchase of sets. Many thanks must go to QPLCE and Bendigo Bank Queenscliff for their generosity and ongoing support to the local community, and to the QLTG committee, particularly treasurer Mark Tonzing for their hard work preparing the grant application. The Queenscliff Point Lonsdale Community Enterprise (QPLCE) is a community organisation dedicated to supporting the growth and enhancement of Point Lonsdale and Queenscliff. This has been made possible by the support of Bendigo Bank.